Why Avoid Using Water With Self Adhesive Tape Jumbo Roll? Many people now know how to use Self Adhesive Tape Jumbo Roll, and its role is to use those tapes to break the objects and need to be fixed. There are many types of tapes available today, depending on how they are applied to the place and the degree of stickiness. Generally, do not touch the water when it is fixed. Because the tape is covered with water, the surface of the tape is covered with a film, and because the film blocks the direct contact between the glue and the object to be adhered, the viscosity will be lost. To make it sticky, you can put the tape on the water, dry it with fire, or dry it naturally, then it will smear the viscosity. And this stickiness is still different from the beginning, so the tape does not touch the water is something everyone must pay attention to. Nowadays, many tapes in the tape market have entered into life. 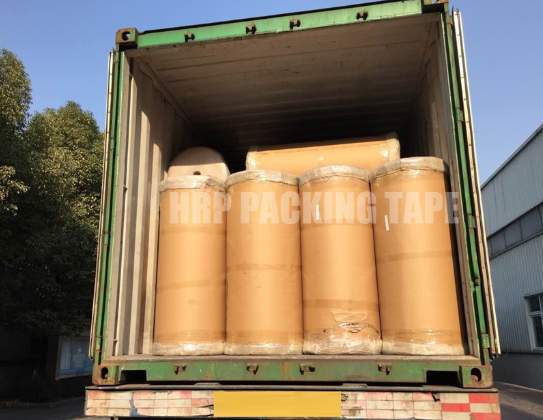 Many single-sided tapes and double-sided tapes are all kinds of BOPP Jumbo Roll. With it, our life will become better, and the broken things will be the same as before. If you use water when using tape, the viscosity of the tape will be reduced, so be sure to pay attention when using it. Previous: What Is The Glue On The BOPP Adhesive Tape Jumbo Roll? Next: What Is The Glue On The Best Packing Tape For Moving Boxes?